Alaska Airlines said it is launching an investigation after Randi Zuckerberg, a tech exec and sister of Facebook founder Mark Zuckerberg, claims she was seated next to a sexually harassing passenger and flight staff ignored complaints of his crude behavior. The passenger next to Zuckerberg on a flight from Los Angeles to Mazatlan, Mexico, "began making explicit, lewd, and highly offensive sexual comments" to her right after boarding the plane, "started talking to me about touching himself," rated the bodies of other women on the plane and made "many more equally horrifying and offensive comments," Zuckerberg said in a letter to the airline posted to Twitter on Wednesday. Zuckerberg, an early Facebook staffer who went on to become an author and the founder of Zuckerberg Media, said that airplane staff were dismissive of her complaints, and that their response was that he was a frequent traveler on that route "and they have had to talk to him about his behavior in the past, but oh well, don't take it personally, this guy just doesn't have a filter." She said flight staff offered that she could move from first class to a seat in the back of the plane. "Why should I have to move? I am the one that is being harassed!" she said in the letter. A spokesperson for Alaska Airlines contacted by NBC News pointed to a tweet it issued in response, in which the company called the claims "very disturbing." "We have launched an investigation and have revoked this passenger's travel privileges pending the outcome of that investigation," Alaska Airlines said in a tweet response to Zuckerberg. Alaska Airlines' "vice president of people," Andrea Schneider, said in a blog post Thursday that "this report is very disturbing. We take it extremely seriously and have launched a thorough investigation." "As a company, we have zero tolerance for any type of misconduct that creates an unsafe environment for our guests and our employees," Schneider wrote in the post. Zuckerberg said in her letter that the passenger she was seated next to drank "multiple alcoholic beverages" on the flight, at one point having three such beverages on his tray table at the same time, but doesn’t say whether he was served the drinks by staff. The Federal Aviation Administration in an air carrier operations bulletin says that boarding of passengers who appear to be intoxicated is a violation of aviation regulations, and that airlines should have procedures to handle unruly passengers under the influence of alcohol. What you have shared with us is very disturbing. We have launched an investigation and have revoked this passenger's travel privileges pending the outcome of that investigation. We wish to discuss this further with you. Please DM us so we can connect tonight. Paul Hudson, president of the airline passenger advocacy group FlyersRights.org, said the government and should do more to track sexual assault on planes and issue guidelines for responding to them. The group sent a letter to then-President Barack Obama in 2016 calling for the FAA to start collecting data on sexual assaults on planes and require airlines to track and report that data, and for the agency and the Department of Transportation to develop rules for responding to and the timely reporting of incidents. "The situations that we were concerned with were not just sexual comments but actual touching, or worse," Hudson said. "Considering what's been happening in the last month, hopefully the DOT and the FAA will take another look at this." 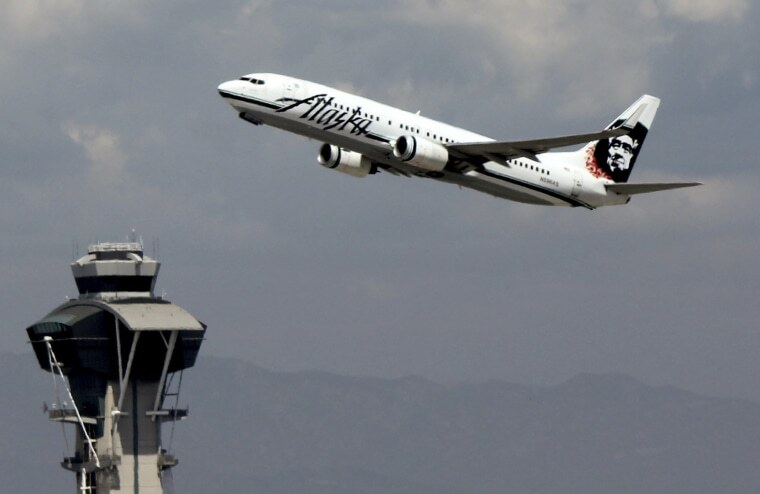 The alleged incident on the Alaska Airlines flight comes amid a renewed focus on sexual harassment and abuse, including in Hollywood and the media. Zuckerberg said in her letter that the passenger referenced recent reports and allegedly said "these Millennial women just aren't willing to give some booty to get a job anymore." Zuckerberg said she felt "disgusted" and "degraded" by the experience. The International Air Transport Association, an industry trade group for the world’s airlines, says that between 2007 and 2015 there were more than 49,000 reported incidents involving in-flight unruly passengers of all types, including harassment and violence against crew and other passengers. Zuckerberg tweeted Wednesday that she spoke by phone with two executives from Alaska Airlines, and was informed an investigation was underway and the passenger had his travel privileges suspended. "Thank you for taking this seriously," she wrote.